The race is a 2 lap course for the 50k, with 4 legs ranging from 3.2 to 5.3 miles, radiating out from a central aid station. The 25k is just one lap. 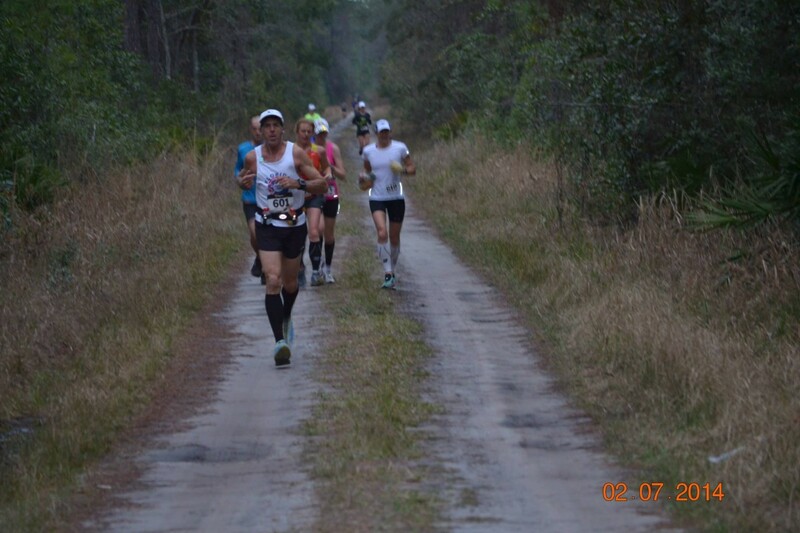 The run is 100% on dirt forest service roads through lovely swamp land and scrub forest. This is a great introduction to trail running. Given Florida weather, you never know what the weather will be like. Camping options will be available at the race.